Fly for Free using your Credit Card Points with GetGo, "Cebu Pacific’s Newest Lifestyle Rewards Program"
Now, shopping and dining using Citibank, BDO, RCBC, Security Bank or Metrobank credit cards just got more rewarding as GetGo, Cebu Pacific’s newest lifestyle rewards program, enables card holders to convert their rewards points to GetGo points and Fly for Free. The partnership between GetGo and the credit card companies provides the simplest and fastest way for GetGo members to turn their credit card purchases into free Cebu Pacific flights, locally and abroad. To know more about the participating credit cards and to start converting points, visit www.GetGo.com.ph. 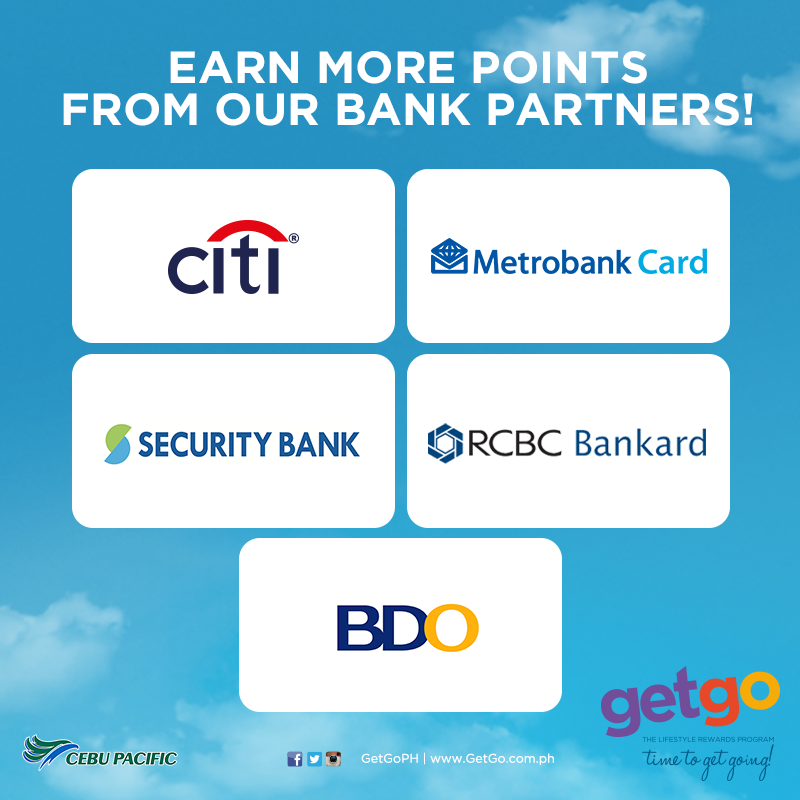 The more flights with Cebu Pacific using any of these credit cards can also earn more GetGo points. Additional points are also given to those who avail of add-on products such as baggage, insurance and meals. With GetGo, you can go places with your everyday purchases! So hurry and swipe your way to free flights with GetGo, today. 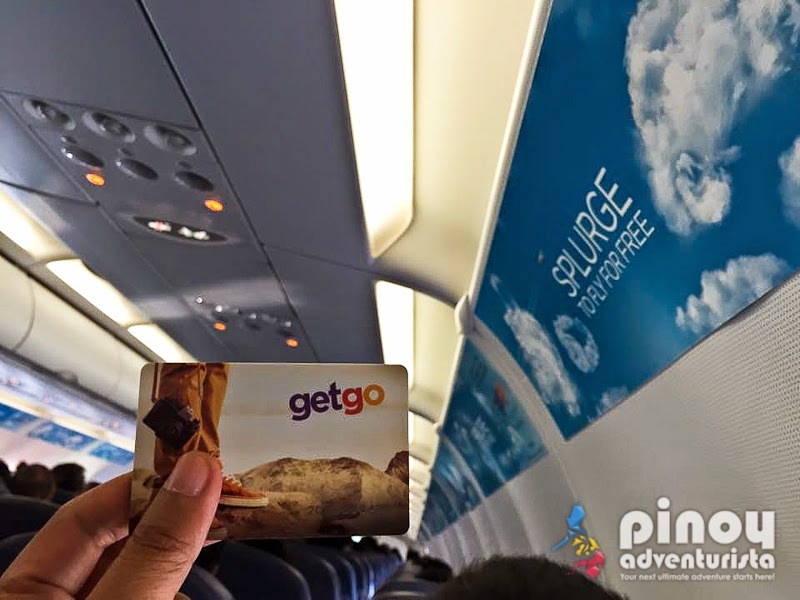 To avail of the GetGo membership and to enjoy more amazing credit card rewards, simply visit www.Fly for free using your credit card points with GetGoGetGo.com.ph, click JOIN, fill out the application form, and for only a P150 membership fee, have your personalized GetGo card delivered to your doorstep. The latest updates are also on GetGoPH's official pages on Facebook, Twitter and Instagram.